Dash & Albert's Birmingham rug is hand-loomed in a flat weave. This all-cotton collection is also reversible and is sure to enliven your home. 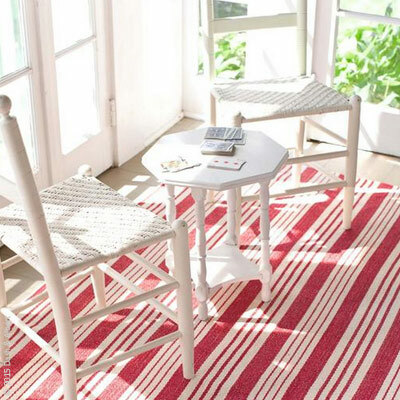 Painted in candy-stripe red, black and white or grey, this rug will stand the test of time. Large woven cotton area rugs should be professionally cleaned.